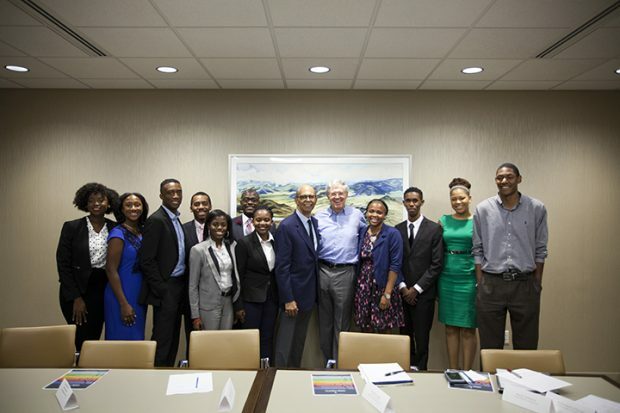 A group of 10 students, primarily from historically black colleges and universities, recently gathered in a conference room to meet one of the nation’s most powerful and wealthiest CEOs, Charles Koch. On the expansive, Wichita, Kansas-based campus of Koch Industries Inc.–a mammoth operation which manufactures products that go into a variety of goods, from basic household products and food, to pollution control equipment, and employs over 60,000 people in the U.S.–the students gained a rare opportunity, inaccessible to most. In approximately 60 minutes, Koch covered quite a bit of ground with the visiting students;Â from sharing their respective life journeys, to Koch’s recommended reading list for driving innovative thought, including books by the late, renowned psychologist Abraham Maslow, like Maslow on Management (Wiley; $47.71), and Jonathan Haidt’s The Happiness Hypothesis: Finding Modern Truth in Ancient Wisdom (Basic Books; $11.99). At the core of this conversation, the head of the nation’s second-largest private company stressed to the students that they must use education to fully achieve their capabilities, and, in turn, embrace the value of principled entrepreneurship. “The only way you’re going to be successful, is if you become really good at creating value for others,â€ Koch says. This session marked a daylong event recognizing the third anniversary of the partnership between UNCF, The Charles Koch Foundation, and Koch Industries Inc., which resulted in the UNCF/Koch Scholars Program, an educational initiative designed to create the next generation of business leaders. It was established in 2014, through a $25 million donation from Koch Industries Inc. and the Charles Koch Foundation, for African American students focused on entrepreneurship, innovation, and economics. According to Koch officials, the program has engaged roughly 170 scholars. 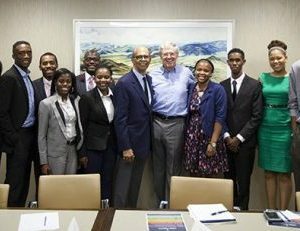 The UNCF/Koch Scholars Program evolved out of UNCF’s vision–inspired, in part, by the transformational partnerships it had with the Bill & Melinda Gates Foundation and pharmaceutical giant Merck–as well as from a previously forged relationship between UNCF and Koch Inc.’s Georgia-Pacific unit. Further conceptual development of the Scholars Program came from a conversation that UNCF President Michael Lomax had with Koch about a need to provide financially challenged students with an opportunity to gain an “immersiveâ€ educational experience. Both Lomax and Koch wanted to ensure that the scholarship program would be more than a financial transaction. In addition to funding the education of participants, the initiative provides a valuable support system. The mentorship aspect of the program has two components. The first phase provides students with academic guidance, while phase two is much more focused on professional advancement. The program is highly selective. According to UNCF, there have been roughly 3,000 applicants for about 170 slots since its inception. Applications, which include essays and personal histories, are reviewed by both UNCF and Charles Koch Foundation members. The scholarship program’s process enables participants like Julian Jones, who recently completed the program. A graduate of Western Carolina University, Jones says that he learned about the program and its scholarship from one of his professors. Jones, who had a 1.5 grade-point average in high school, applied after achieving a 4.0 GPA during his first semester of college. Once in the program, Jones found it to be rigorous. 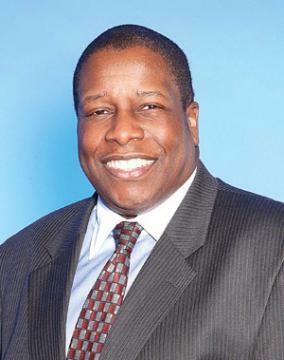 In addition to his classroom studies, he had to engage in online tutorials and quizzes on marketing, economics, as well as on entrepreneurial figures, like tech innovator Tristan Walker. Haymore is a sophomore from Spelman College. While in middle school, Haymore, who was diagnosed with sickle cell anemia in early childhood, lost her hair while undergoing chemotherapy treatment. Insecurity over this issue led to Haymore teaching herself how to style hair and create wigs. This not only boosted her own sense of self-confidence, it also helped her boost the confidence of her clientele of Spelman sisters, too.